This map shows territory of Kazakhstan, of Russia, of Slovakia, of Ukraine. Displayed town Zhumysker for Garmin. You can find here town Dzhangala marked. Displayed town Kaztalovka presented. Displayed Iskene for Garmin. Displayed Vetelki free download. Malyy Uzen' presented. On this map Fomin download for free. You can find here Burov presented. On this map Beshtanov presented. On this map Zhuldyz free download. On this map Zhulduv marked. Displayed Zhuantobe marked. Zhualysay marked. Displayed Zhualyoy presented. 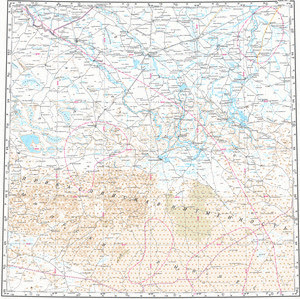 On this map Zhyrgansay free download. You can find here Zhetibay free download. Displayed Zhemste marked.